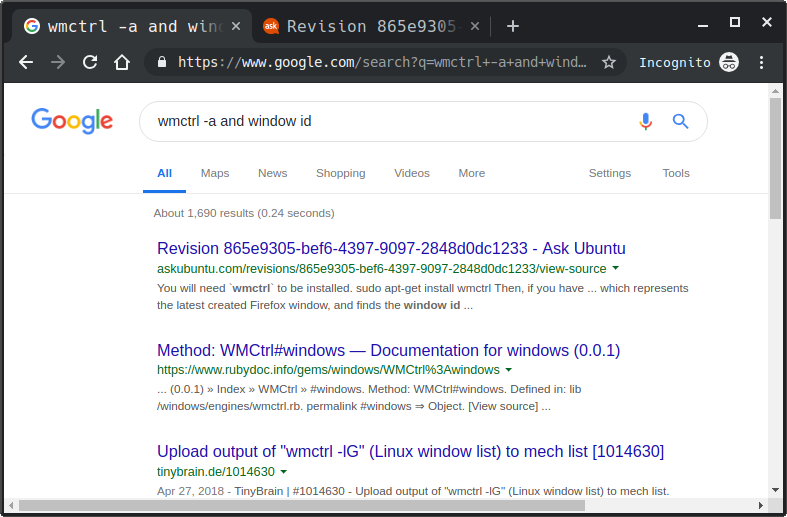 I used Google to search for wmctrl -a and window id. But I can't figure out where that revision originated. How do I find the corresponding question or answer? I would normally get there by Googling stand-out phrases in quotation marks, but that's messy and relies on those phrases still being there when Google reads it. At least it's fast, but in this case, not accurate enough. It's gnarly-as-hell but it will work most of the time. Note that Data.SE tends to lag behind the production databases. It gets regular dumps. 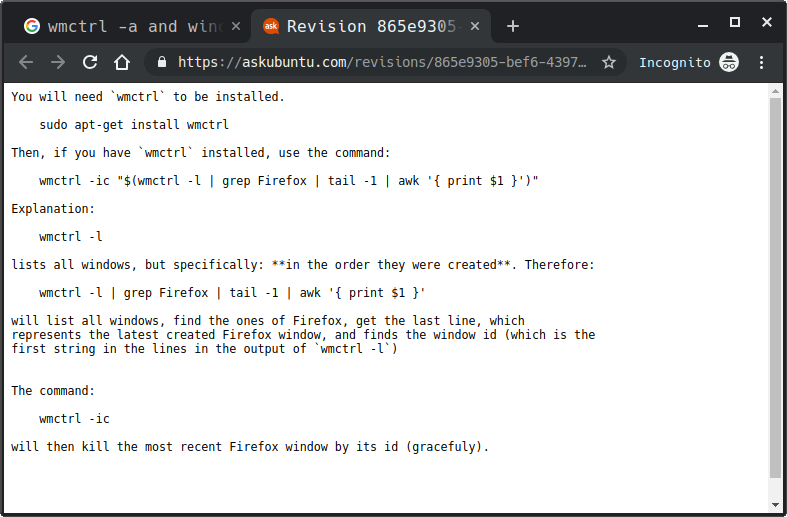 Not an issue here but it could be for a brand new revision.